A recent report by CBRE on Europe’s office markets highlighted Madrid’s first quarter take-up was just under 100,000 sq m (1.1m sq ft) which was a major improvement on other recent first quarters. 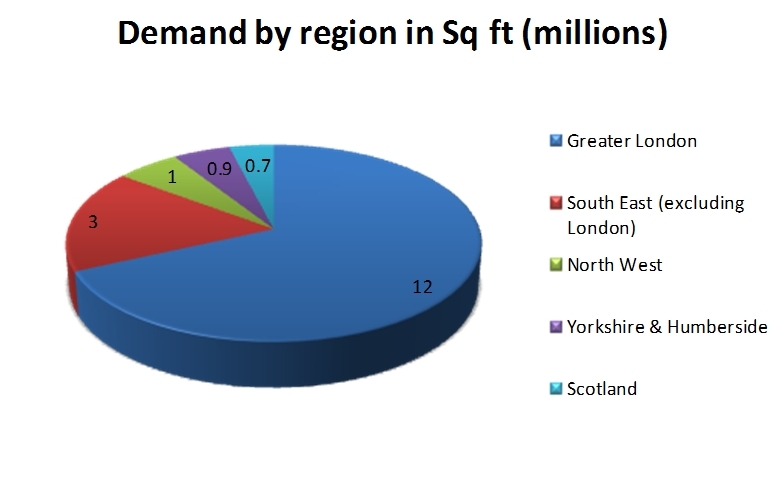 Analyst believe that demand is being driven by occupiers taking advantage of low rents in prime central locations with many small and mid-size deals recorded. In Paris there were two office deals of 40,000 sq m (430,000 sq ft) each, together with a surge of HQ consolidation projects, taking the French capital’s take-up to 506,000 sq m (5.4m sq ft), a substantial improvement on recent quarters. In London, rents increased, including the West End recording a 5% prime rent increase to £105 per sq ft per annum in the first quarter of the year. Amsterdam and Munich also saw rents increases of 1.5% each over the same period, with both cities experiencing demand for grade A quality buildings. As a result, Munich has just 35,000 sq m of space available in the city centre with prime rents to stand 5% higher than 12 months ago at €33 per sq m per month. In Barcelona, two large transactions of 9,000 sq m and 13,000 sq m boosted the market and the number of office deals per quarter is reaching 300. In Dublin, there have recently been large office deals involving Facebook (11,000 sq m ), Deutsche Bank (10,200 sq m), Susquehannah (9,600 sq m) and William Fry (9,000 sq m). This trend is not confined to the West of Europe with the Scandinavian cities of Oslo and Stockholm both recording prime rental growth of 5.2% and 2.3% respectively over the same period. Central London office lettings in June 2014 reached 1,150,000 sq ft in 70 medium or large deals, as the market saw another above the long term average month for office transactions. The quarterly total was 3.4m sq ft and the first half of the year totalled 6.5m sq ft. June was characterised by large lettings to China Construction Bank and Clarksons amongst others. Financial and media sectors were strong performers. By area, the City accounted for less than 500,000 sq ft of the June deals total, however Midtown and Southbank were strong contributors. However across the quarter the EC2 area was the strongest postcode. 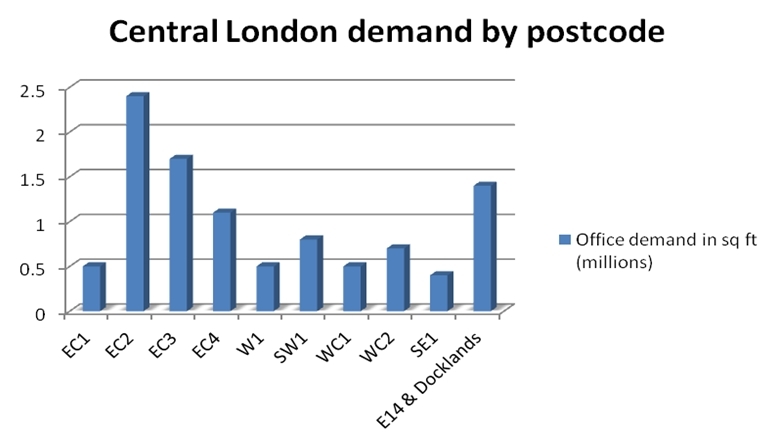 The strength of the Central London office market in the first half of the year is likely to translate into a full year lettings total of around 13m sq ft. There were eleven transactions over 50,000 sq ft in the quarter including Mizuho Corporate Bank and Estee Lauder. The City accounted for 1.4m sq ft of lettings in Q2 2014 and during the last three months as a whole there were 1.9m sq ft of grade A lettings. There are a number of large lettings in the pipeline with upto 3m sq ft of space under offer. The largest space under offer is 370,000 sq ft at Bankside, SE1 to media group Omnicom. There are currently 7-8m sq ft of active London requirements on the Metropolis database and a further 2-3m sq ft of potential requirements in the pipeline. 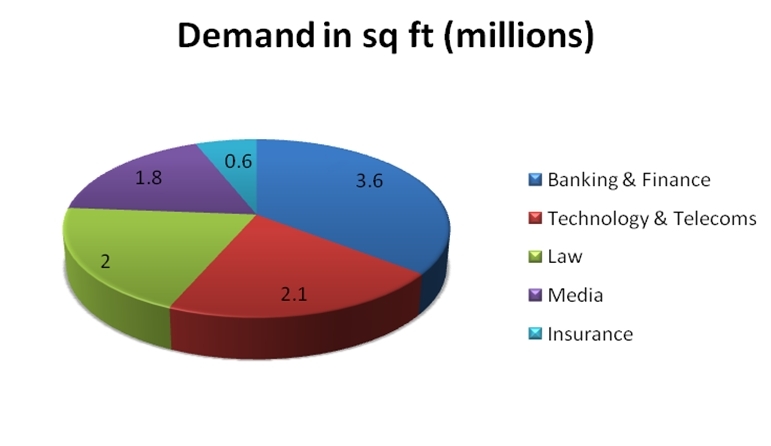 The insurance sector is tipped as one of the most active likely to sign deals in the second half of 2014. A recent office market report by Union Street Partners (Farebrother and Tuckerman) featured the rising popularity of London’s Southbank (SE1 postcode), as an office location for companies looking for good quality offices in central London. On a number of schemes, rents have reached £50 psf as a number of major office tenants compete for newly completed space. Analysts point to demand rising in parallel with recent infrastucture improvements on the Southbank, including the newly SE1 expanded Blackfriars Station including the imminent Thameslink upgrade, as well as improvements at London Bridge in the wake of the completion of the Shard. The local agents recorded take-up in 2013 of 1.7m sq ft including the 430,000 sq ft letting of The Gem to News International. Figures from Metropolis reveal that there has been deals totaling in excess of 800,000 sq ft for the first 6 months of 2014, including Omnicom’s 340,000 sq ft potential deal at Bankside 2 & 3 in SE1. Other large recent deals in the area have included lettings to General Healthcare (HCA), Charles Tyrwhitt and Ramboll. A raft of companies have also recently completed deals on the just-completed 240 Blackfriars Road scheme. Cushman & Wakefield have analysed recent office locations between London districts and concluded that Southbank is now the second most popular area to relocate to, after City core. Media and tech companies are the most likely to move office districts. Metropolis is currently monitoring 50 companies which include Southbank in their search area, including: Intelligent Environments, Eurostaff Group and NSC Global Solutions among many others. If all searches are seen through to successful conclusion this will lead to over 500,000 sq ft of future lettings. Looking ahead, there are a number of new office developments either underway or planned, such as the 37,160 sq m (400,000 sq ft) King’s Reach Tower, Stamford Street, 100 Union Street and 3 Albert Embankment, which will see a new influx of tenants moving to London Southbank.